"I don't have all the answers yet." Gravitas Ventures has debuted the trailer for an indie romantic comedy titled Almost Friends, which premiered at the Austin Film Festival last year but is just now finally getting a release. Freddie Highmore stars in this as a twenty-something kid still living at home with his mom and stepfather. He falls for a local girl named Amber, but of course she already has a boyfriend and plans to move away. "Will Charlie reach his tipping point or will he finally find the path forward?" The cast includes Odeya Rush as his romantic interest, Haley Joel Osment as his best friend, plus Christopher Meloni, Jake Abel, Rita Volk, Marg Helgenberger, Taylor John Smith, and Christie McNab. Check it out. 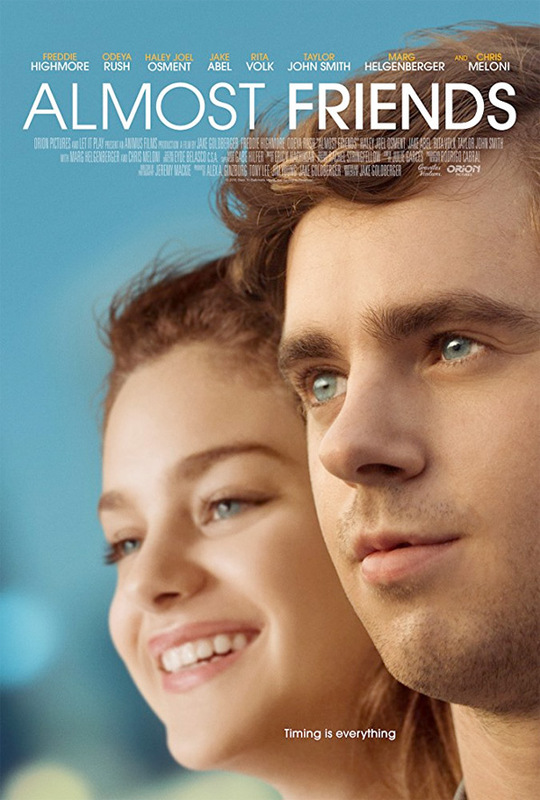 Charlie (Freddie Highmore) is an unmotivated man in his mid 20s still living at home with his mother and stepfather who falls for a young woman named Amber (Odeya Rush) who has a serious boyfriend. Almost Friends is both written and directed by American indie filmmaker Jake Goldberger, of the films Don McKay and Life of a King previously. This first premiered at the Austin Film Festival last year, and also played at the Newport Beach Film Festival earlier this year. Gravitas Ventures will finally open Goldberger's Almost Friends in select theaters + on VOD starting on November 17th this fall. Anyone want to see this?